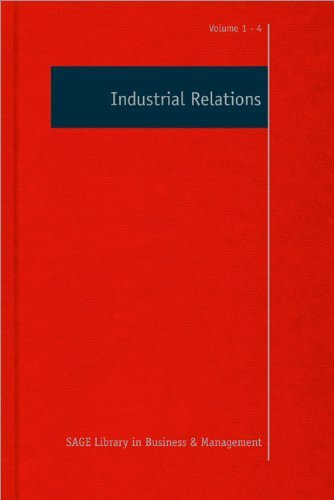 Industrial Relations (4 Vol.Set): 9781849207959 Hardcover - LIMEROCK BOOKS INC. This major work offers a broad insight into the field of industrial relations, taking into account the economic, political, and social influences and the relative power of capital and labor that shape relations between people at work. Aided by an international editorial advisory board, the collection takes a broad interdisciplinary approach, which includes the interactions between employers, workers, their collective organizations, and the state.